The girls were fairly quick to adapt to the unfamiliar playing surface and court markings, although our passing was a little inaccurate in the 1st quarter. This was soon sorted out as we stormed to an 8-1 lead at half-time. Lovely shooting and circle work from our attacking players. We were also very quick to respond to losing possession, the attack left the defence with little to do. After a re-shuffle we continued to dominate the game showing all-round agility and athleticism. The final quarter saw another re-shuffle and the game became a little scrappier as we extended our lead. The final score was 16-4, a well-deserved victory. The U13B started their game looking rather cold and quite frantic. They made a large number of interceptions, which was the target for the first quarter, so very pleasing, but then they panicked and threw the ball away almost immediately. However, things improved significantly; the spacing and timing of the moves, and passes began to come together and suddenly at half time the score was five all. The attacking play picked up pace and the movement in the D became more confident with much better timings, then suddenly the Hanford team were ahead. In defence the ball was continuously intercepted and turned over back into Hanford’s possession, but more importantly the over head passes into the D were intercepted and so the very accurate shooters from Salisbury Cathedral School were no longer receiving the ball. 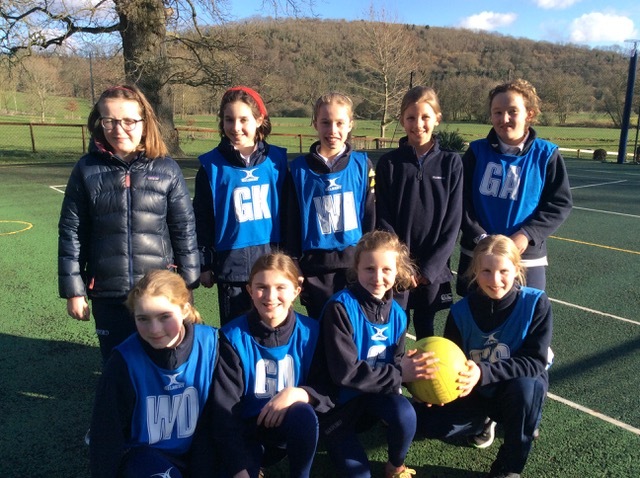 All in all a good match and some very promising netball by the final whistle. 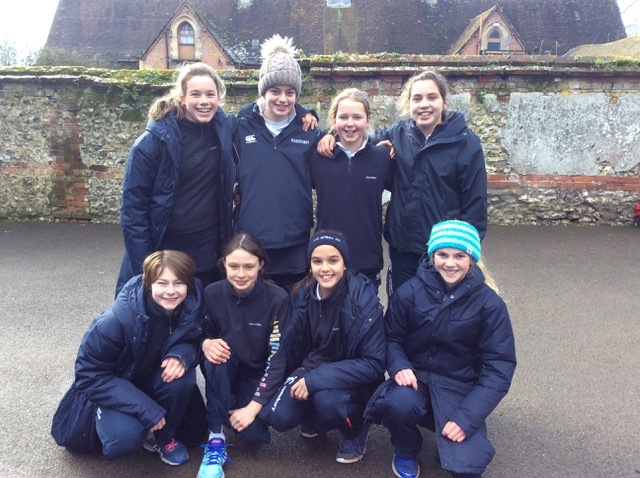 The U11B played Salisbury Cathedral whose goal shooters were on fire that day and despite playing absolute their best lost 6-9. 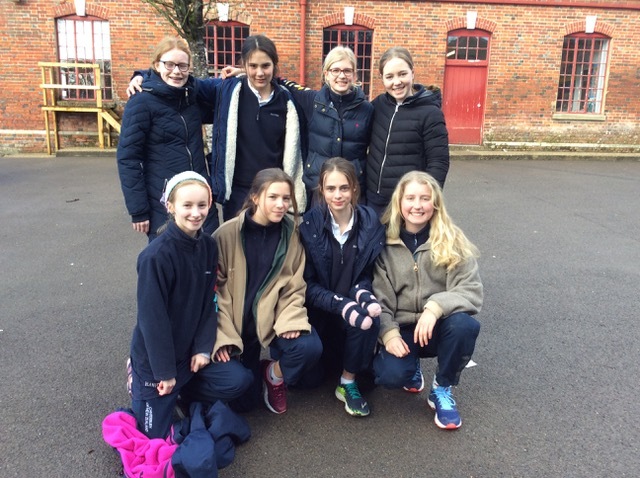 On a cold, sunny afternoon Salisbury Cathedral arrived at Hanford to play Netball. Tallulah and Claire were very solid in defence and the Cathedral girls found it hard to get a shot at goal. 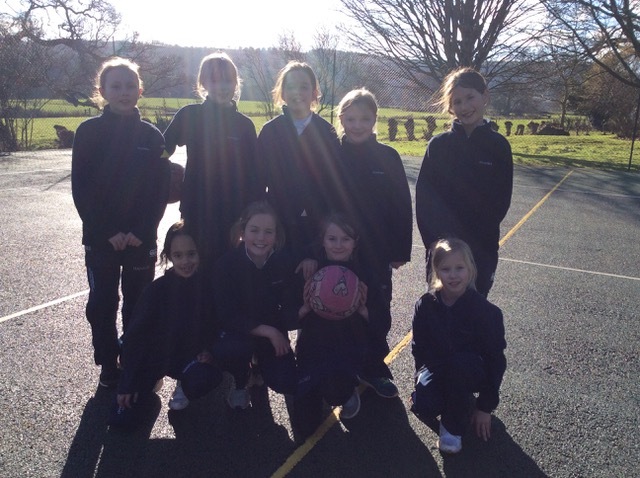 Lottie, India and Violet worked the ball well in the mid court and Lucy and Emily scored in the 1st and 3rd quarter to lead the game 2 – 0. The opposition looked a lot more certain in the last quarter and managed to score 2 goals to end the game with a well deserved draw at 2-2.